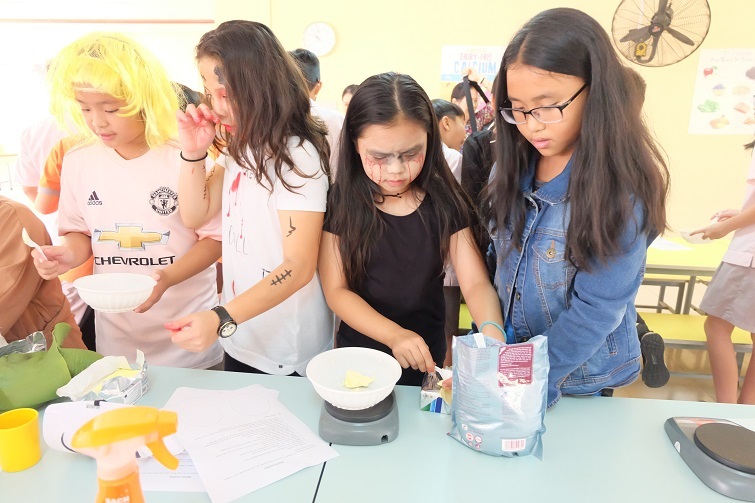 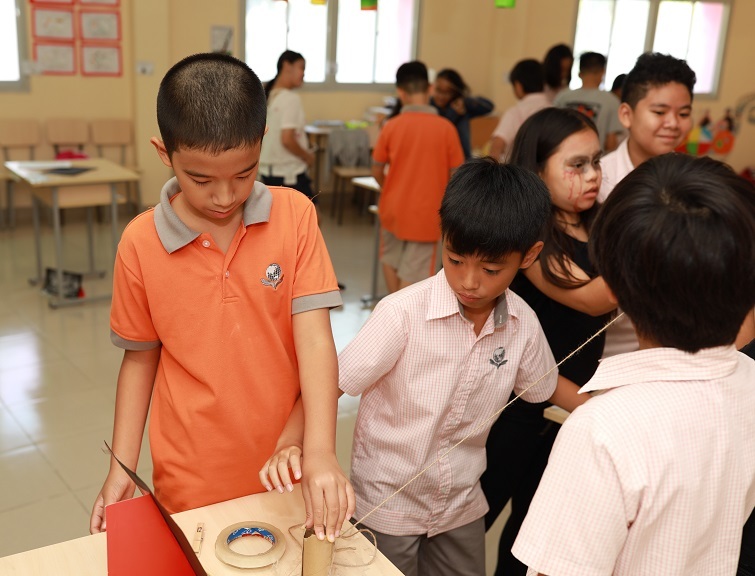 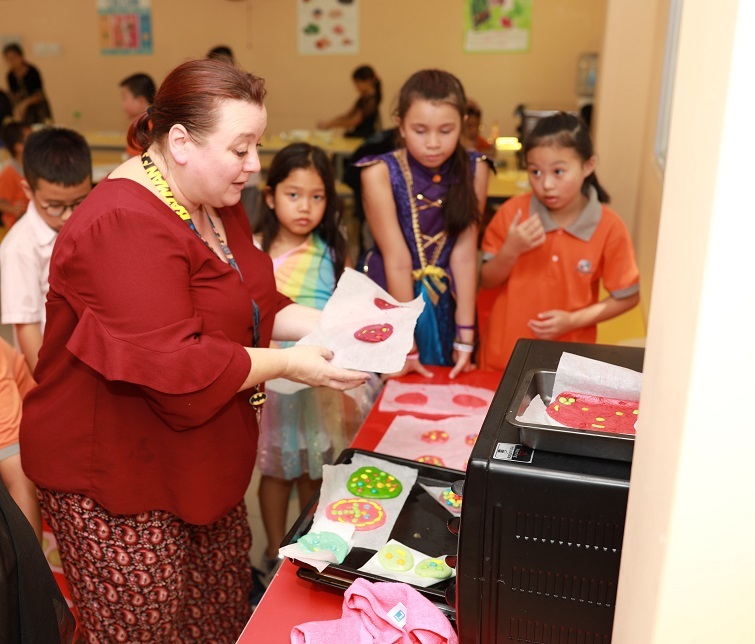 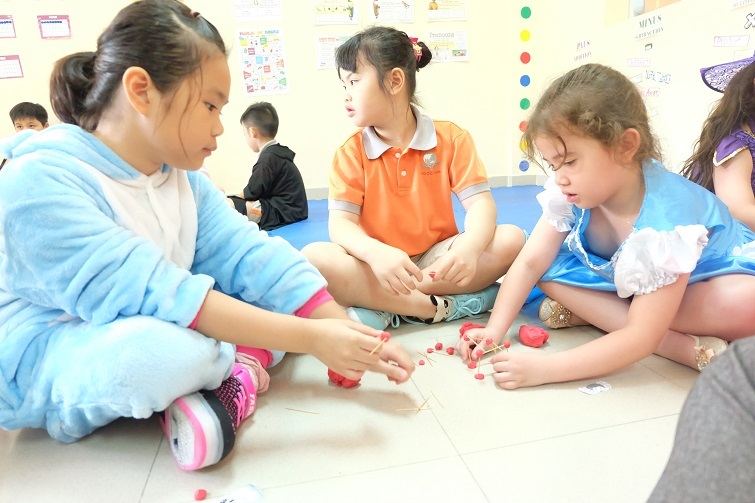 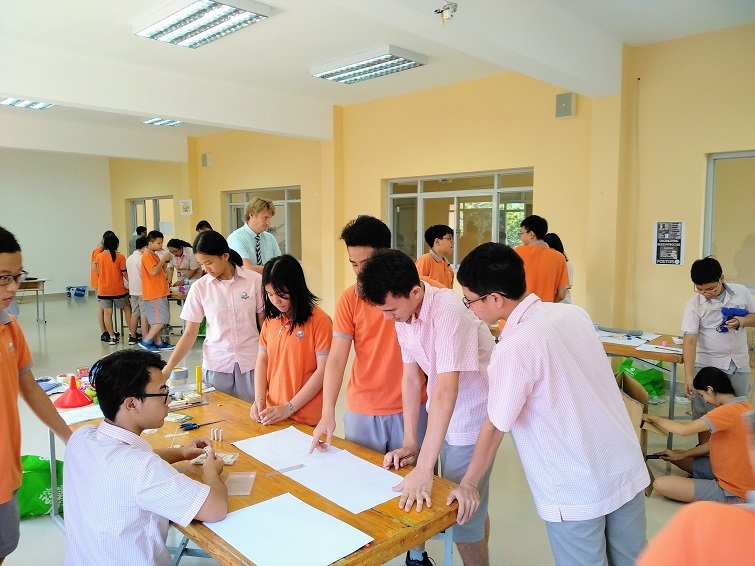 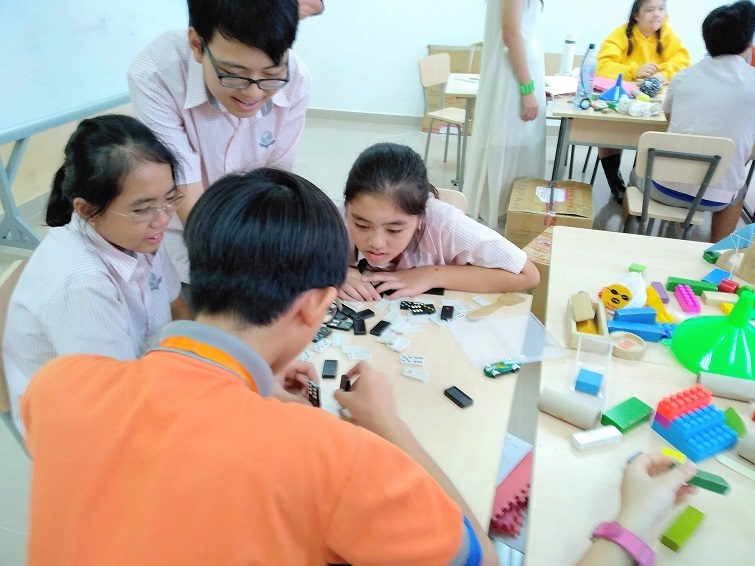 October 31st saw a Spooky STEM Activity Day intermingling with the fun of Halloween festivities to make for quite an exciting and “Spook-tacular” day here at SIS@Vung Tau. 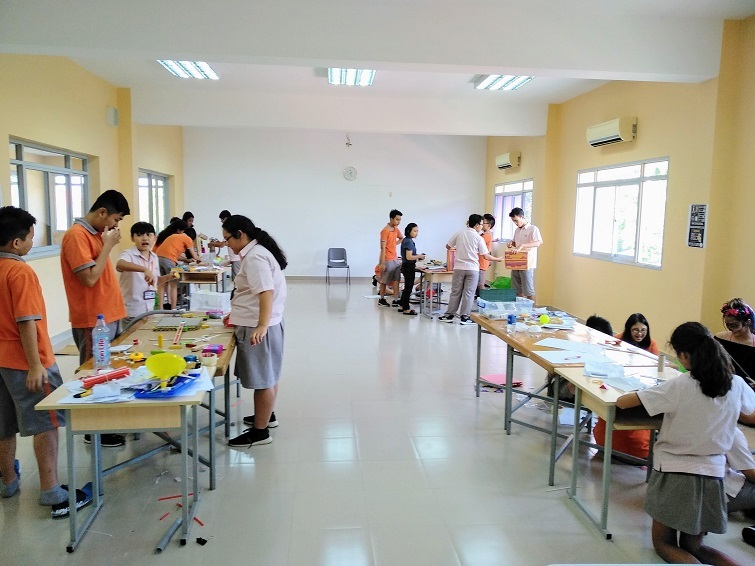 Year 1- IGCSE 2 students were all actively involved in the day that was full of fun and learning combined. 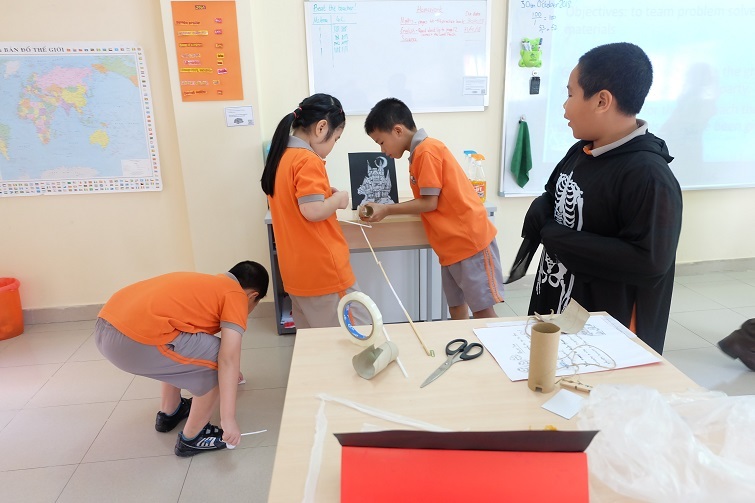 Pumpkin bowling mathematics: Students were given pumpkins to throw and the tasks of measuring, counting, creating bar graphs and calculating speed. 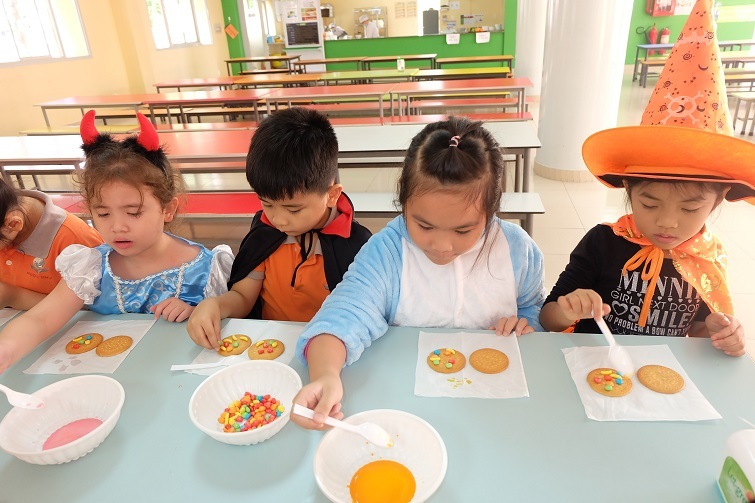 Spooky cookies science: Students were given instructions, ingredients and guidance. 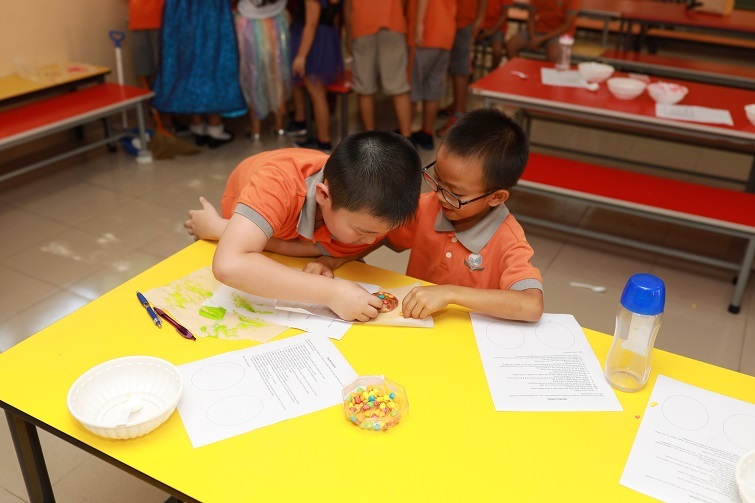 They measured and combined with accuracy and created candy designs to top their cookies. 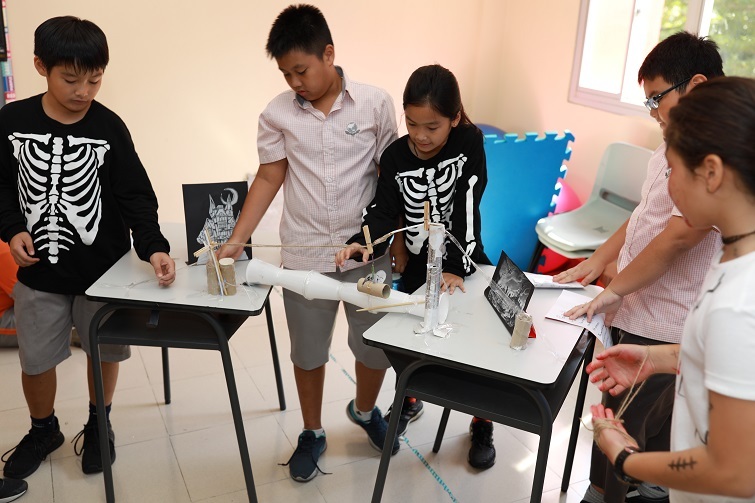 Ghost line engineering: Students were to problem solve, using recycled materials, simple engineering solutions that allowed a paper ghost to travel across a space. 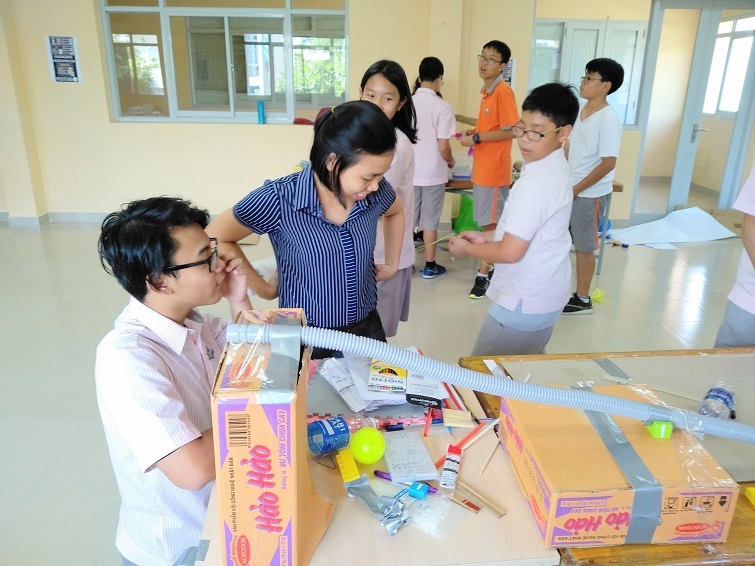 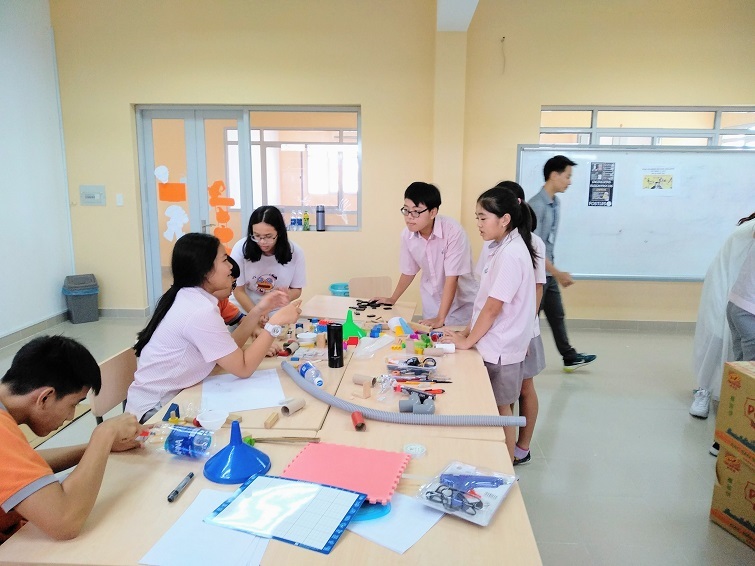 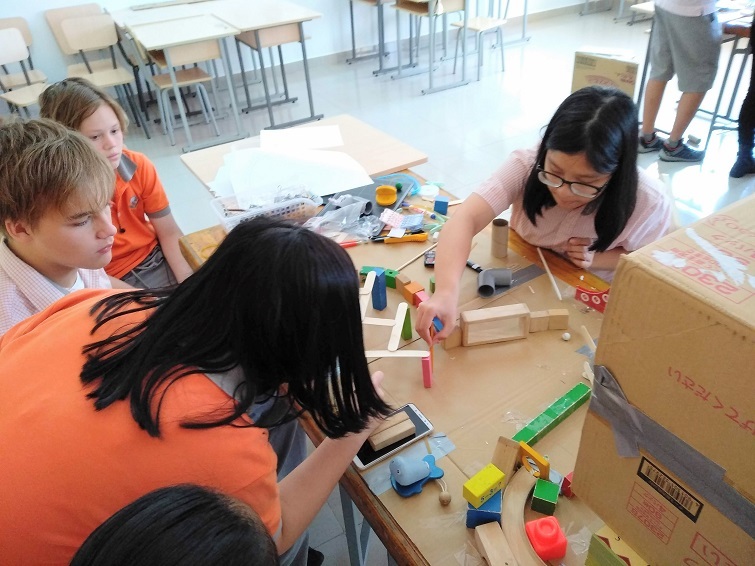 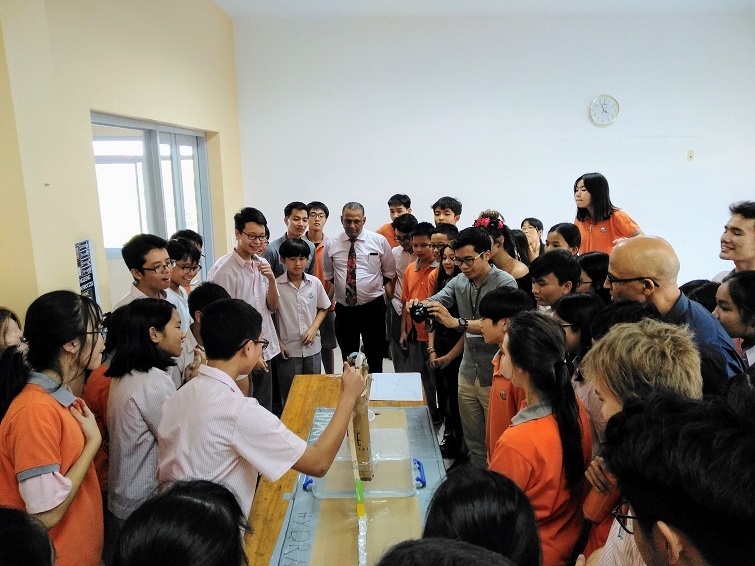 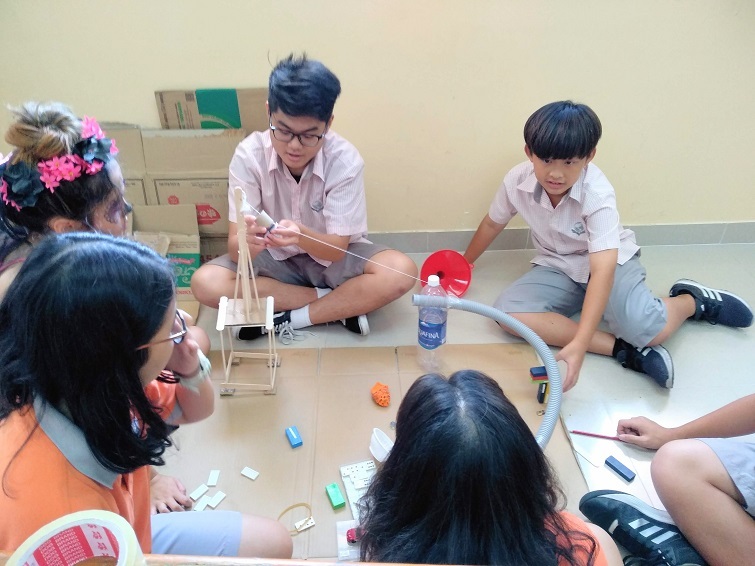 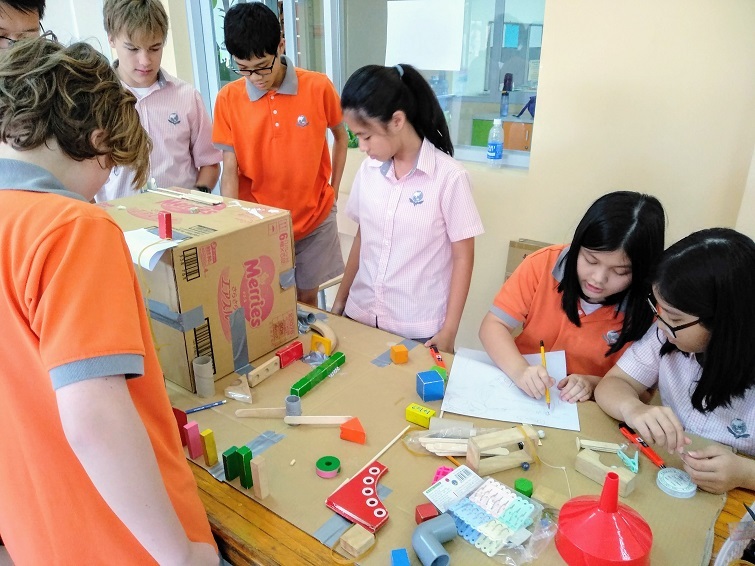 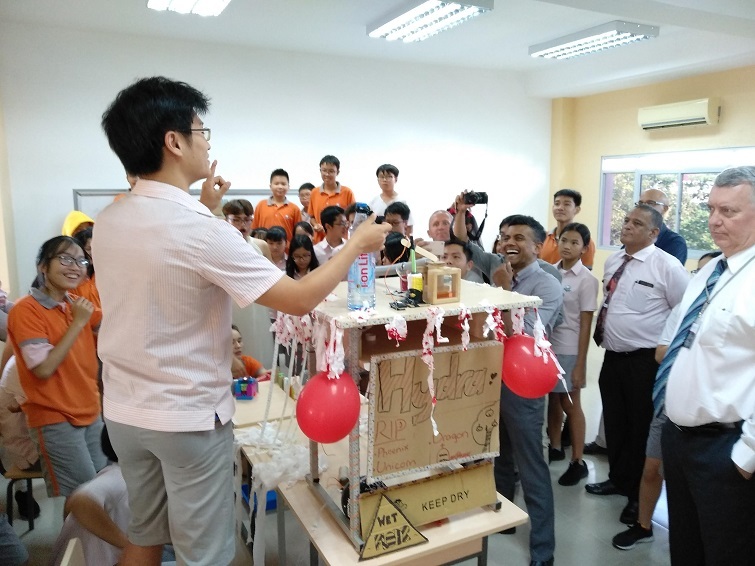 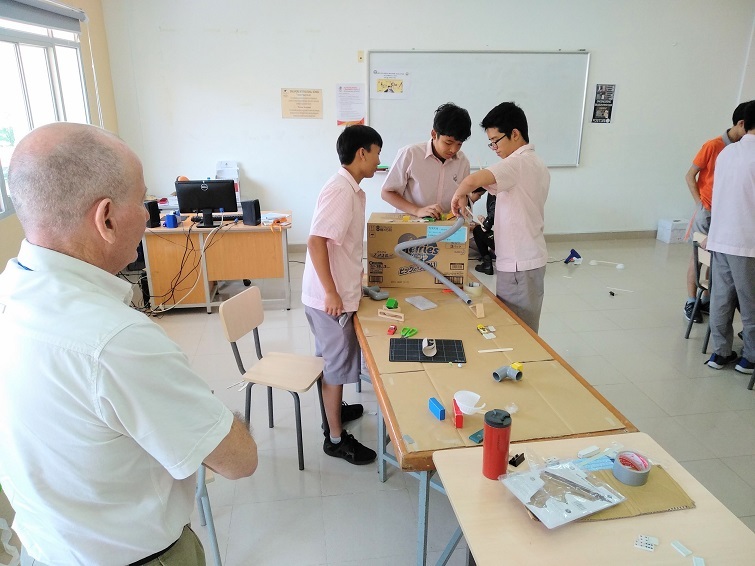 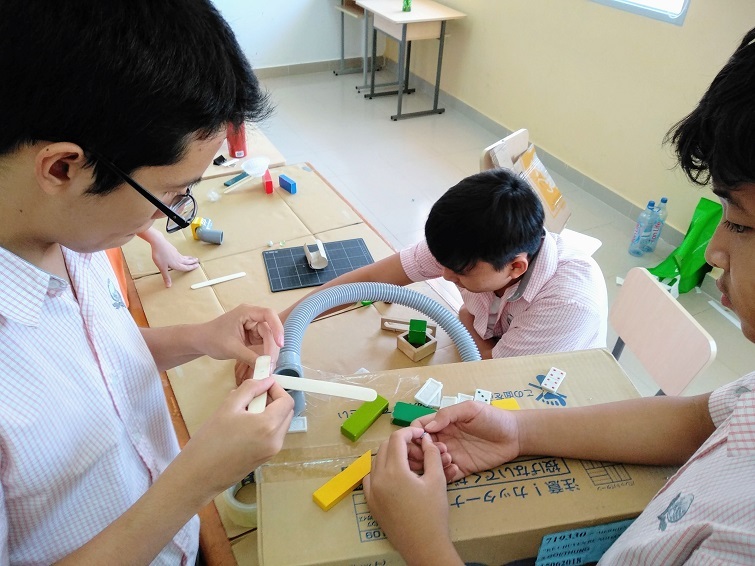 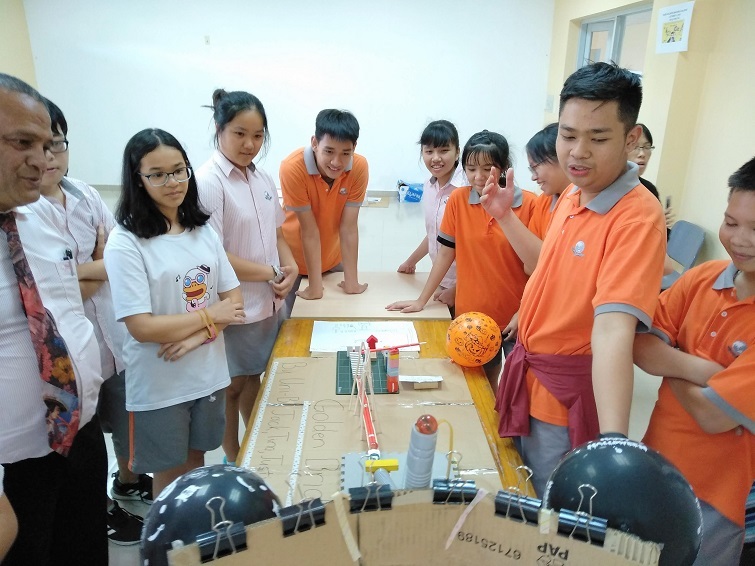 Secondary School students in Years 7 up to IGCSE 2 participated in a Rube Goldberg Machine STEM Day Challenge and were given the design task of creating a Rube Goldberg Machine to reveal a hidden message. 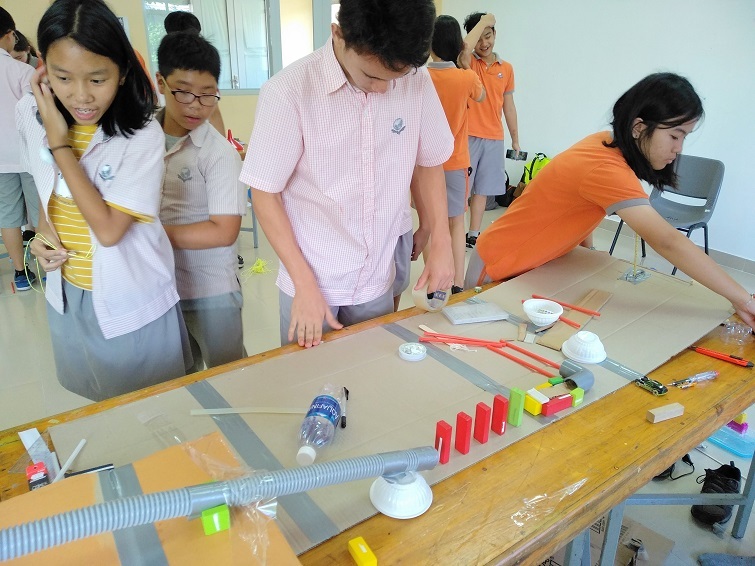 A Rube Goldberg Machine is a famous engineering concept which signifies anything done in an overly complicated or roundabout manner to perform a simple, everyday task. 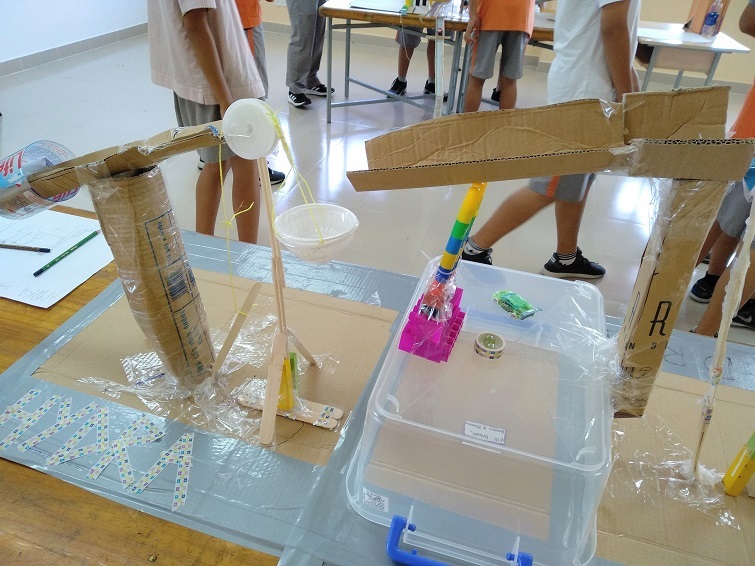 The students worked in 8 separate STEM teams comprised of nearly 50 students and used the Engineering Design Process (EDP) and Design Thinking to design, plan, build and test their machines. 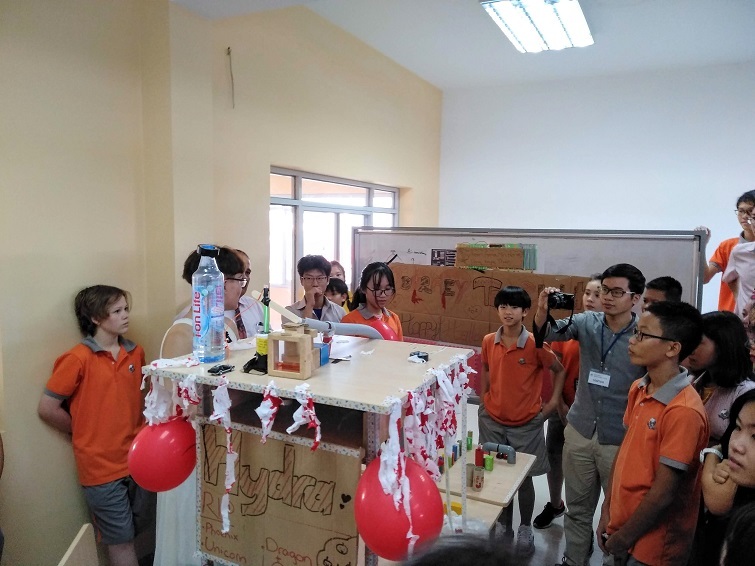 After each team successfully designed and built their Rube Goldberg Machine they presented their work to the other teams, teachers and school community at the end of the project. 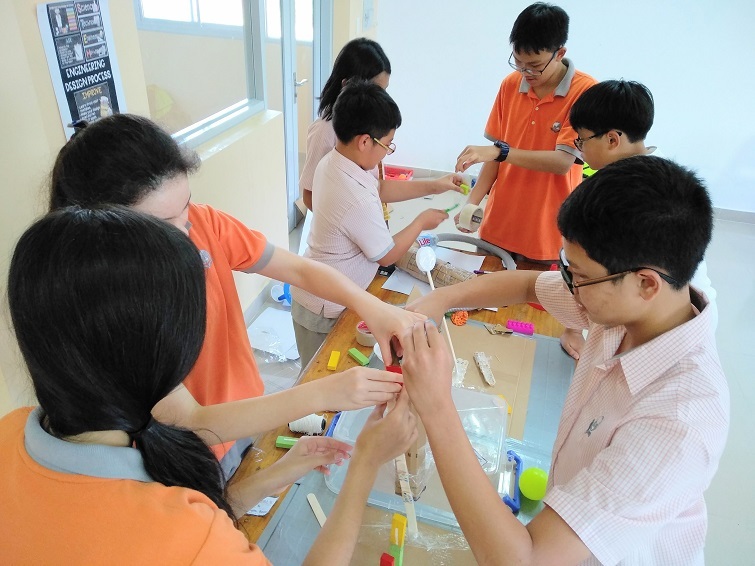 This was a wonderful opportunity to develop STEM Skills, as well as experience important soft skills of team building, communication, critical thinking, problem solving and creativity. 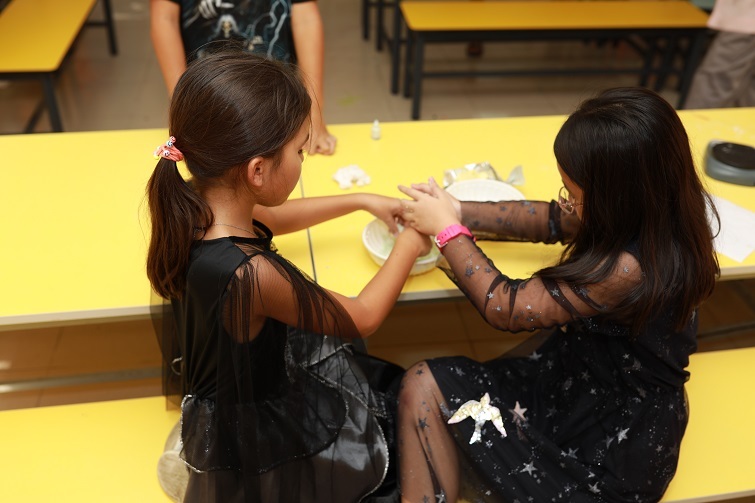 An amazing amount of talent and creativity was demonstrated by all of the students. 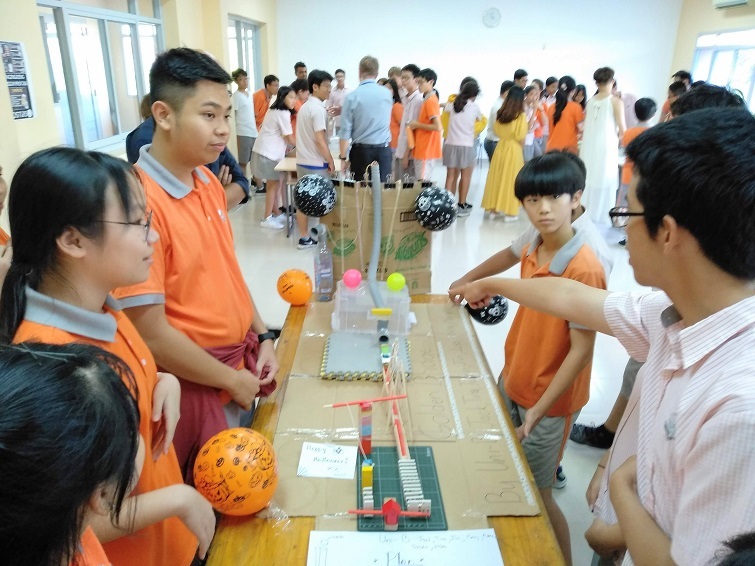 Well done to all of our student teams, teacher supervisors and STEM Committee in making this a special and fun day for all.